No Maps, No Borders: An Evening with Giocherenda. Our project could not have found a better partner in Giocherenda, a Palermo-based artist collective comprised of young refugees who design games centred around storytelling, memory and journeys. This collaboration allowed for a reflection on the matrices of the Classical world and for engagement with the tangible experiences of the community at large. Representing Giocherenda, Mustapha Conteh travelled to the UK to join us from 29th January to 5th February 2019. During this period, he demonstrated to us the philosophy of the games and participated in a series of events including; the Reconceptualising Migration and Journey Stories workshop where the games were implemented, a public talk, No Maps, No Borders: An evening with Giocherenda by the university’s ExTalks Society, and a performance of cultural intersection between modern music and ancient pots, Ideas in Motion. This joint effort saw a convergence of ancient history with modern instruments for constructing narratives, alongside the universal theme of journeys with current perspectives. This generated promising insight into how the power of the ancient nostos might be received in a contemporary context, and reciprocally of how present-day circumstances can inform our encounters in antiquity. Click Giocherenda Group PDF to read more about Giocherenda. 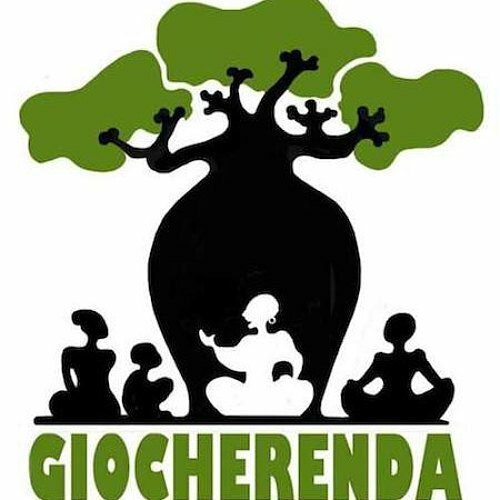 Support Giocherenda by purchasing their products: https://www.etsy.com/uk/shop/Giocherenda?ref=search_shop_redirect. Written by: Jacalyn Leong Ying Ting and Megan Woolley. Edited by: Isobel Phillips and James Johnson.